China's Xiaomi to attend MWC 2018, is a Mi 7 flagship announcement likely? China's Xiaomi is slowly but steadily amping up its attempts to successfully penetrate the western market, and while its official presence in the US is still a mirage, the prolific device manufacturer has not abandoned its desires to become a household name. 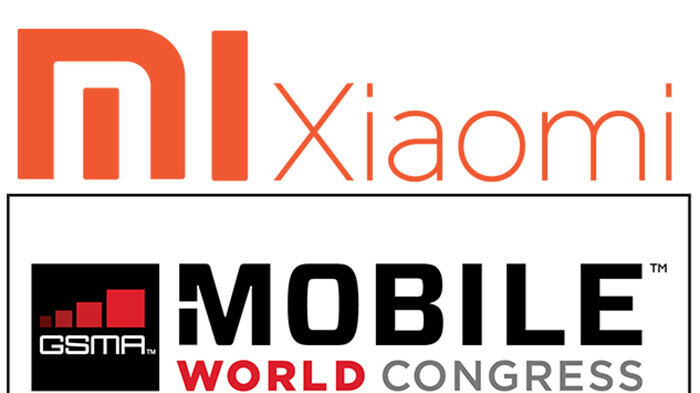 It would seem that Xiaomi will be attending the important MWC trade show in Barcelona, Spain, this year, which will mark its first presence on such a large and important expo. The company was heavily rumored to attend last year's MWC, but ultimately skipped it. Xiaomi is now listed as an MWC 2018 attendee and will be situated at Stand 6B30 in Hall 6, though we are not aware if the company's planning to host a keynote yet - the MWC 2018 agenda is not complete yet and we doubt the so-called Apple of China will miss the opportunity. One thing that could make its presence at MWC 2018 that much more interesting is the rumor that its next flagship, the Snapdragon 845-powered Xiaomi Mi 7, could be unveiled on stage provided that the company really hosts a keynote event. Judging by all the rumors we've heard about that one so far, we could be facing a rather interesting phone that will make the top flagship scene even more heated: an all-screen design, a 6-inch Samsung-made AMOLED display, 3D face recognition, and Qi wireless charging are merely the most interesting rumored features aside from the suggested use of the Snapdragon 845 chip and 6GB of RAM on deck. With LG obviously skipping the opportunity to announce its next flagship at MWC 2018, Xiaomi could potentially be the unlikely headliner that will make the expo as intriguing as last year's one. We've reached out to Xiaomi to learn more about its presence at the expo trade show in Spain next month; we will update you as soon as we know more! Highly unlikely. 1. It's too early. 2. If I'm not wrong Mi6 was China only officially. Even India -which is Xiaomi's most important foreign market- didn't get it. IMO this one's official launch too probably will be China only. Even if turns out I'm wrong, its China market will be larger than rest of the world combined. So unveiling it outside China doesn't make any sense for sure. 3. Although I'm aware of the rumors, a 6 incher 18:9 Mi7 will be the end of Mi Mix 2. So I will take it with a pinch of salt. Yet I have to say waiting near end of the year for a larger flagship is not really smart move IMO. Until then everybody else would have released their larger flagships with latest Snapdragon. 1. Mi6 announced on April. So announcing Mi7 2 months before it's launch indeed will be a surprise. Delays between their announcements and actual launch is always short. As far as I remember only exception was Mi Note Pro and that probably was fault of Qualcomm's mess with Snapdragon 810. 2. As always? How many country got Mi6 OFFICIALLY? I'm not talking here about grey market imports. 3. Samsung Note is a special case. If it has not pen, after S8+ there would be no need for the Note 8. Just think about why Samsung made S8+. HTC's market share is so small therefore almost nobody cares anymore. But both HTC 11 and 11+ are actually in same class just like OnePlus 5 and 5T. In fact 6" 18:9 screens are like just elongated 5.5" 16:9 screens. If LG has released the V30 around the same time with Samsung S8+ its sales would be higher probably. Think about, a few months later from now Oneplus will release OnePlus 6 with Snapdragon 845 and will steal some Xiaomi Mix users. Not counting other OEMs.